Sharks, as many predators, prey for food mostly at night, usually by swimming into shallow waters. So, "Sharks, like many predators" is right and "Sharks prey for food at night, as many predators do" is right. You can eliminate all others except B based on this principal. Although the question is obviously not a real GMAT question, I didn't have much difficulty in finding the credited response. However, let's look more carefully at the supposed "best" answer. As many predators do, sharks prey for food mostly at night and usually by swimming into shallow waters. Sharks prey for food mostly at night is parallel to usually by swimming into shallow waters ? Perhaps the Economist GMAT team has decided that "and" no longer requires parallelism. 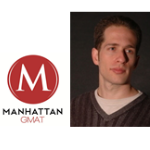 Beware of questions that are not real GMAT questions. These questions do not follow the patterns that real GMAT questions do. The first step to truly mastering the GMAT test is to resolve to never again look at a fake GMAT question. Look at real GMAT questions drawn from official guides. Zosimus, I agree that there are a lot of unhelpful SC questions floating around in these forums, but I have to defend this one a little bit. The parallelism in B is between modifiers: "at night" and "by swimming." We can certainly see parallel adverbial modifiers on a real GMAT question. Sharks prey at night by swimming into shallower waters. Sharks prey at night and by swimming into shallower waters. In your example, the "and" is entirely unnecessary. We could write the sentence that way--it would mean roughly the same thing, but with separate emphasis on the two modifiers. It might imply that these are two different ways that sharks prey. However, I would certainly choose the first over the second. Notice, however, that we can't simply eliminate "and" in the original sentence: "As many predators do, sharks prey for food mostly at night and usually by swimming into shallow waters." We could replace it with a comma, but we can't say "prey for food mostly at night usually by swimming . . . "
So, just on the grounds of parallelism, there's no problem here. There is a meaning problem, though. If we use "and," it implies that both of these practices are what "many predators do." That would mean that many predators both prey at night and in shallow water. I'm not sure that's what we want to say. So in the end, yes, I would prefer a comma to "and." Sharks are similar to other predators in that they prey for food 1 at night 2 by swimming in shallow waters. We need a verb to compare the actions of sharks and other predators, not sharks and predators. D.	Usually by swimming into shallow waters, sharks prey for food mostly at night as many predators We should say as many predators do, also the construction of this sentence alters the meaning. Originally posted by OptimusPrepJanielle on 01 Jul 2015, 03:29. Last edited by OptimusPrepJanielle on 06 Jul 2015, 22:11, edited 1 time in total. Sharks are similar to predators in that they prey for food 1 at night 2 by swimming in shallow waters. 1. Saying that sharks are similar to predators is misleading. Sharks are predators. 2. Similar to is wordy. 3. "They" could be misunderstood, although I would not go so far as to say that it was wrong. 4. Time should go at the end. A sentence such as "I drove at night by car to the park" is better rendered "I drove to the park by car at night." Like other predators, sharks usually prey for food by swimming into shallow waters, mostly at night. Even then I question whether the word "mostly" is needed. A. Sharks, as many predators, prey for food mostly at night, usually by swimming into shallow waters >	A comparitive section beginning with "as" should always include a conjugated verb. B. As many predators do, sharks prey for food mostly at night and usually by swimming into shallow waters >	Corrects the original mistake of the missing verb by adding "do" > as many predators "do". D.	Usually by swimming into shallow waters, sharks prey for food mostly at night as many predators > A comparitive section beginning with "as" should always include a conjugated verb. That sentence is not a suggestion for a correction. I find it helpful on occasion to paraphrase the intended idea of the original sentence to ensure that I select an answer choice that conveys the same meaning more effectively/correctly (but doesn't distort it.) I've added the word "other" because it was what I implicitly meant but did not type. Sharks indeed are predators.